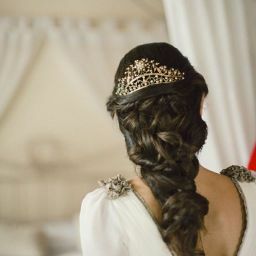 In the courtyard of Monsilys Palace, Philomena had parted from Lord Valentin and her brother Luca. The former had twisted his lips into a wry smile and said, "I have no doubt we will see each other again soon, my dear," while the latter&apos;s parting words to his elder sister had been, "Argo, heel! Look, Lillo, he did it!" Travelling with three companies of Jovani legionaries was different again from their headlong flight from Deusetats or the journey to Monsilys. The legionaries were disciplined, well-trained and efficient. They made camp in the evening, and broke it in the morning, produced serviceable meals from a combination of travel rations and hunted game, and marched in formation around the horses without any sign of fatigue. Tancred rode with the Jovani captains, exchanging low-voiced comments about the terrain, or the tactical situation they expected to face. Sometimes Rainhart or Holle rode with them. Philomena, feeling she had nothing to contribute to such discussions, kept out of the way. Philomena was riding alongside Holle through the Deusetats high country, looking without seeing at the track ahead. "Are you all right, Mena?" said Holle, "You&apos;ve been quiet since we left Monsilys." "Have I?" said Philomena, despite knowing it was true. "It must be difficult to go home and then have to leave again. It was nice to meet your family, though. They explain a lot about you." Philomena sucked her bottom lip between her teeth, hearing the double thud of her heart. Talking to Holle never felt safe. 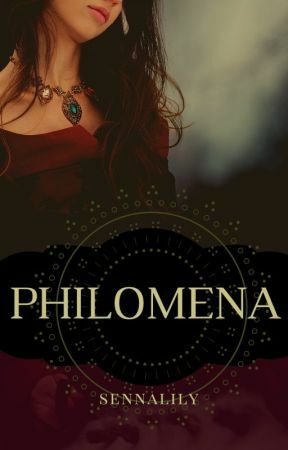 It felt as if Holle were seeking Philomena&apos;s secrets, winnowing them out from the silences between words, hearing Philomena&apos;s guilt weighing down her intonation. She couldn&apos;t trust Holle; Holle would trade and sell knowledge as it suited her. And Rainhart... the thought of his reaction if she told him the truth about herself made her go cold. But ever since they left Monsilys, Philomena&apos;s secrets had felt heavier than usual. The column stopped ahead of them. Saved from responding to Holle&apos;s comment, Philomena frowned and gestured that they should ride forward. "What&apos;s wrong?" she said when she reached the others. "Oh," said Philomena, taking in the tents and campfires in the valley. "Great and lesser gods," Holle murmured. "I suppose Baron Konrad was unwilling to go to Breg and bend knee to the man who lopped his uncle&apos;s head off." "The Cimbra are here to force the issue," said Rainhart. Tancred studied the scene. "Do you think Valdon is with them?" "Get me closer and I&apos;ll find out." Narrowing his eyes, Tancred said, "I think it&apos;s best if the Cimbra are not aware of our presence for now." "We&apos;re lucky we haven&apos;t run into any scouts," said Rainhart. "I suppose it didn&apos;t occur to them to watch a mountain track that leads nowhere but Gallica." Tancred nodded. He took two deep breaths and turned to the Jovani captain. "I need you to stay here and conceal your men. If any scouts come this way, kill them." Philomena caught the reflection of his gift, like the flash of sun off water. "Yes, your grace," said the Jovani captain, and turned, commanding his men to fall back, and designating advance guards and scouts. "Are we going to sneak into Mullrose?" said Holle. Tancred nodded, looking grim. "I won&apos;t ask you to come with me, but I would be grateful if you did." Holle looked at Philomena, who nodded. Holle said, "We&apos;re coming. If you are safe then we will be safe, and if you aren&apos;t, then we are better together."